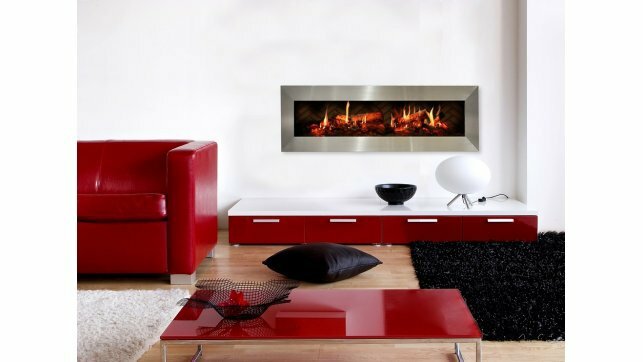 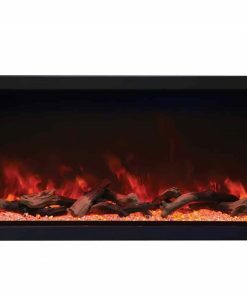 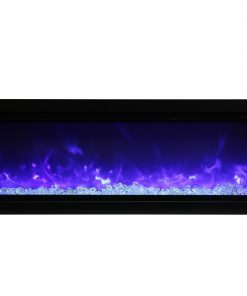 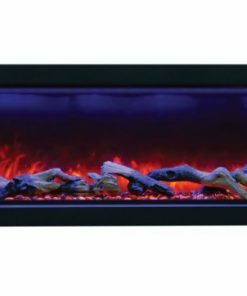 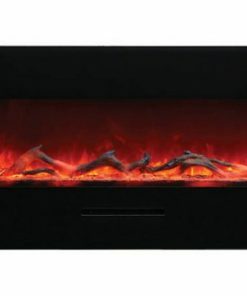 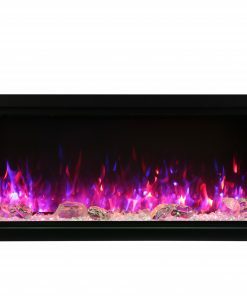 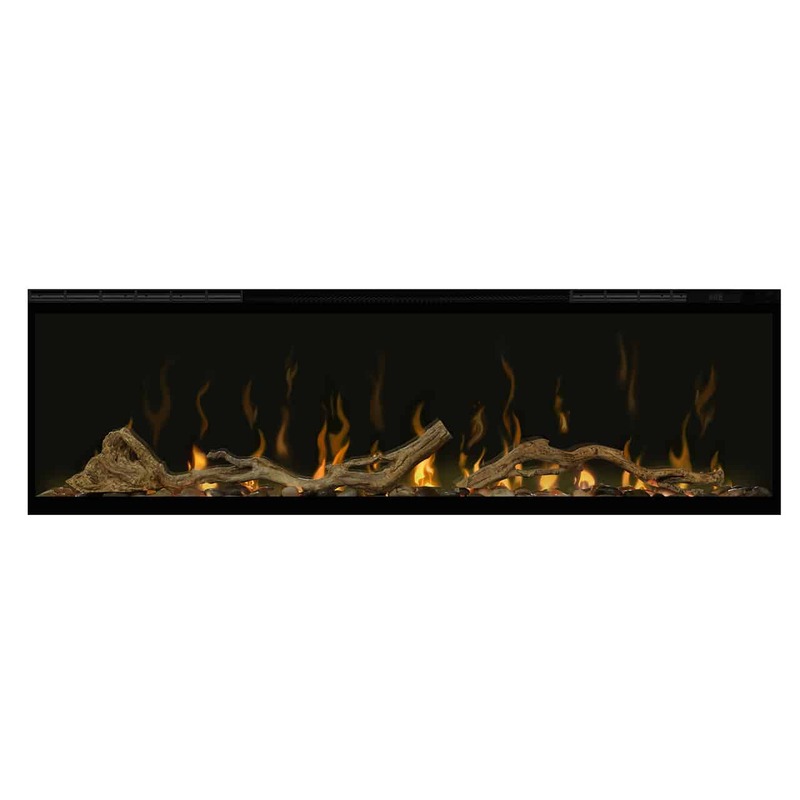 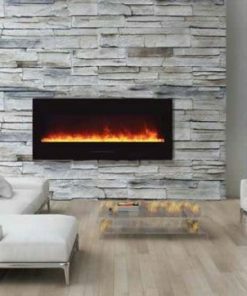 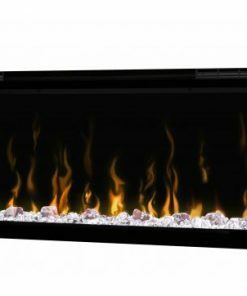 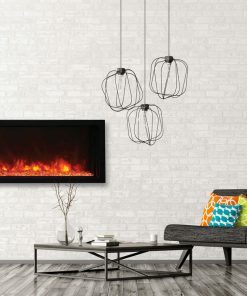 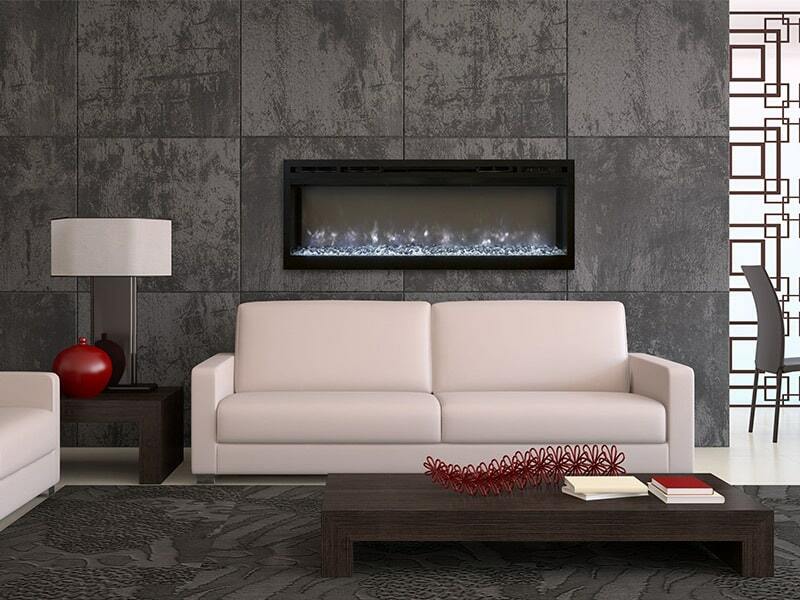 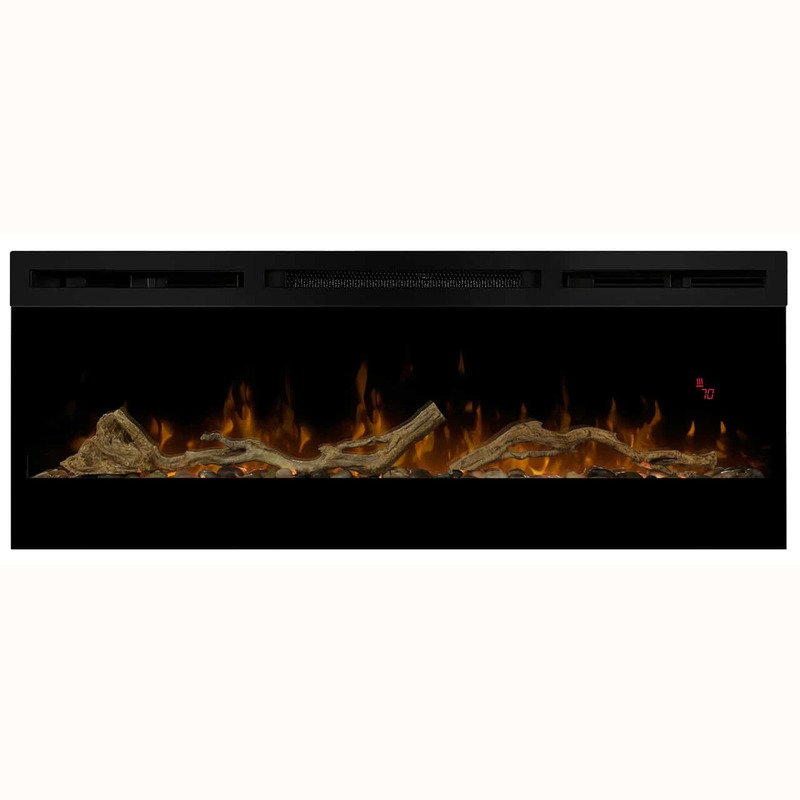 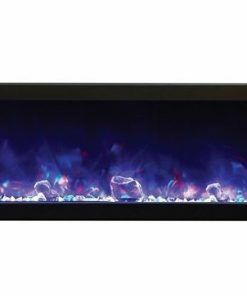 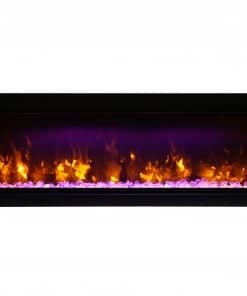 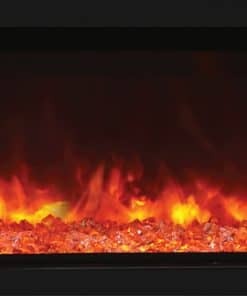 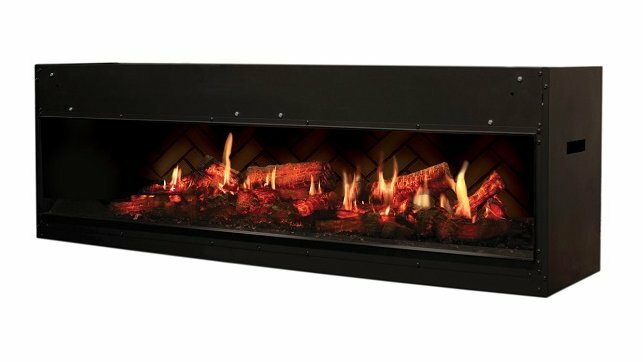 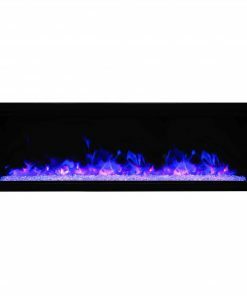 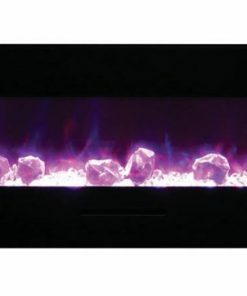 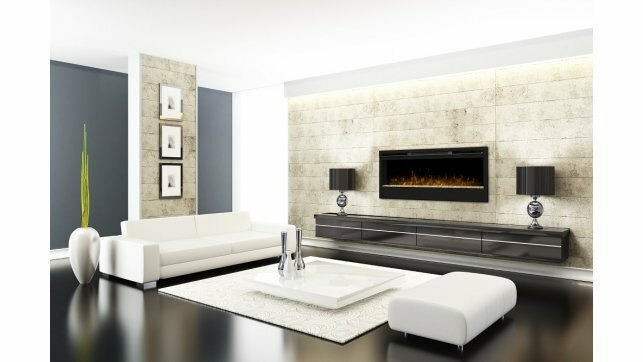 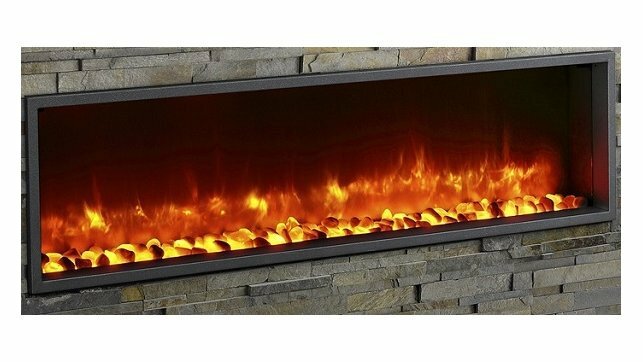 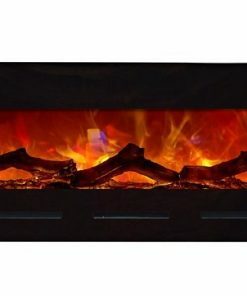 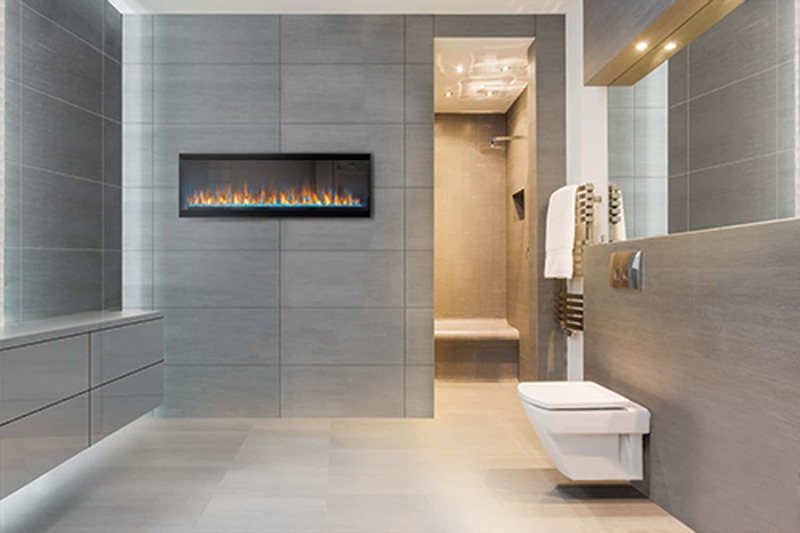 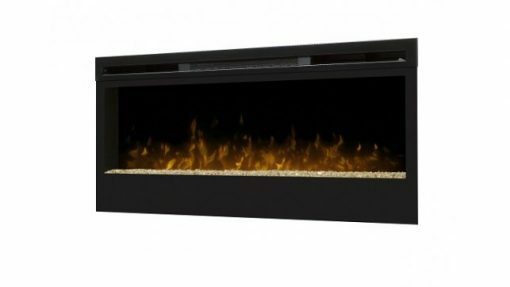 The Dimplex BLF50 Synergy 50″ wall-mount electric fireplace features a realistic patented LED flame that dances on the crushed and silvered glass pieces, adding comfort, ambiance and beauty to any space. 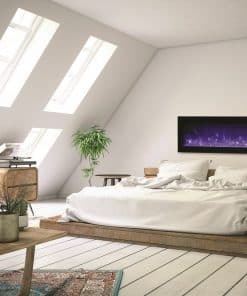 The heat that warms your room comes from the front of the Dimplex BLF50 fireplace, allowing our sleek and elegant design to be installed snug to the wall. 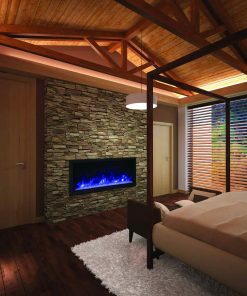 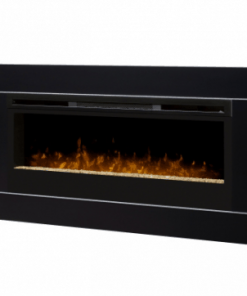 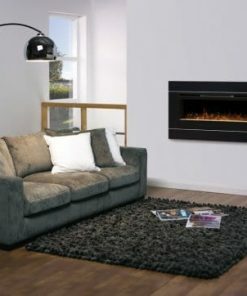 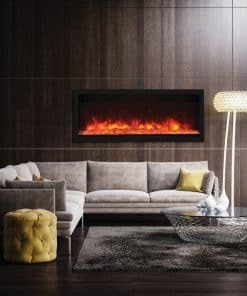 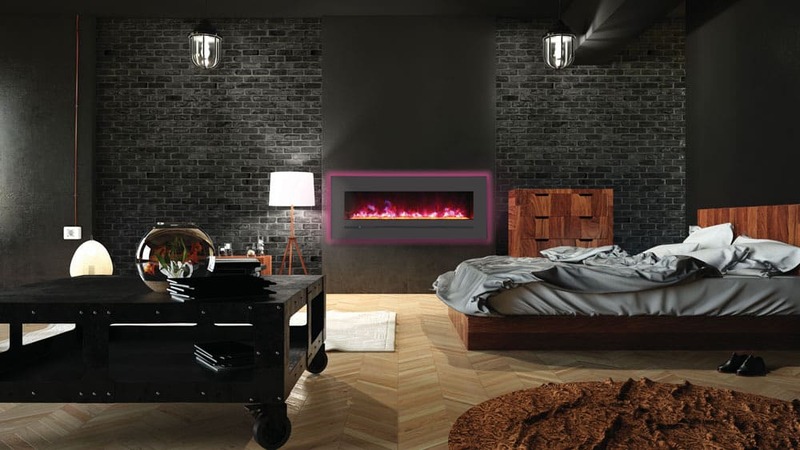 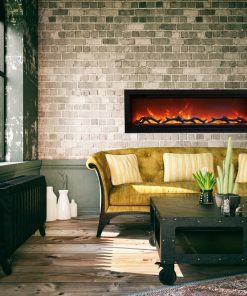 The Dimplex BLF50 electric fireplace offers a life-like flame in a stylish package to suit any room. 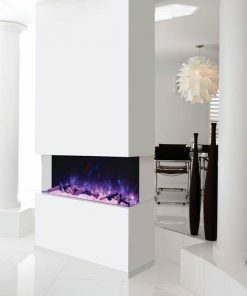 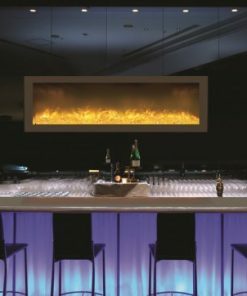 Flame — A blend of technology, artistry and craftsmanship – the patented Dimplex LED flame technology creates the illusion of a true fire. 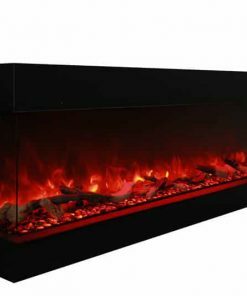 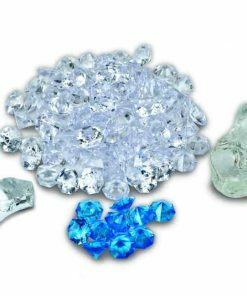 Media Bed — Tumbled glass ember bed pieces that are colored and silvered on one side for an alluring effect. 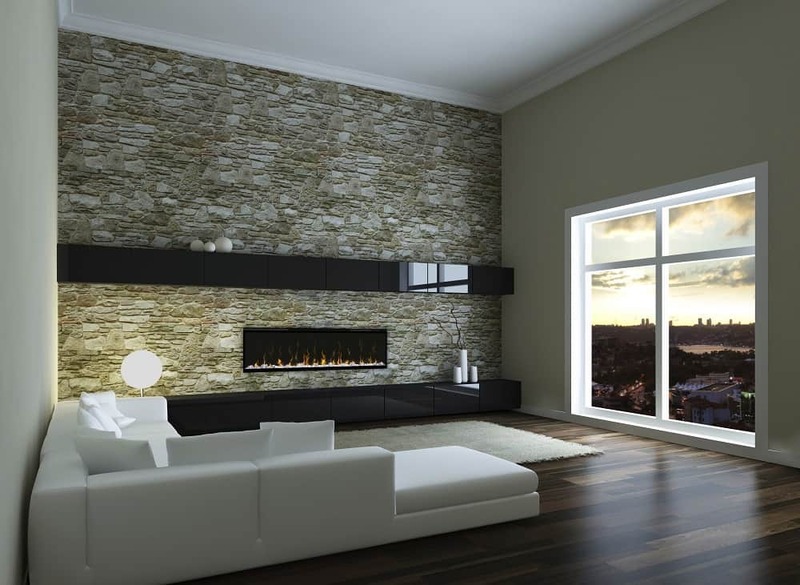 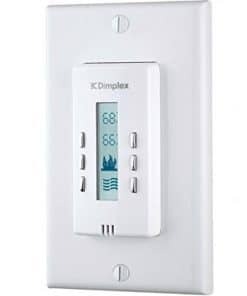 Remote — Includes a convenient remote control for ease of use at your fingertips. 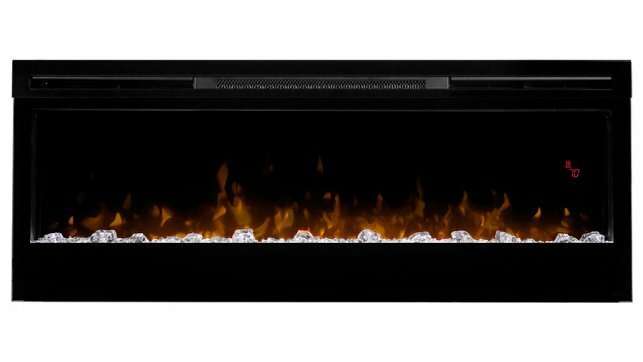 Safe — Front glass stays cool, making it safe to touch. 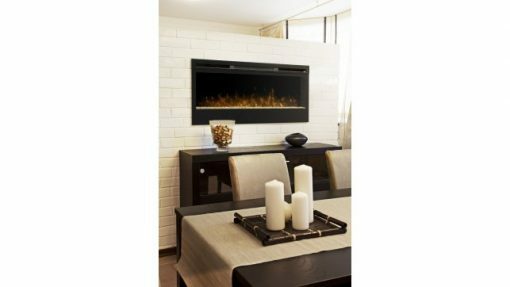 Direct Wire Capabilities — Can be direct-wired for a seamless look. 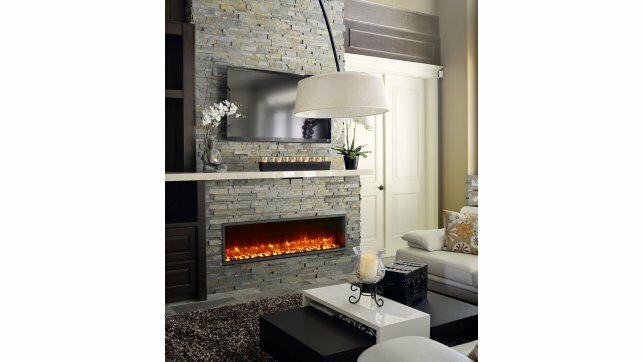 Quick Assembly — Sets up in minutes with step-by-step assembly instructions allowing you more time to enjoy your fireplace.